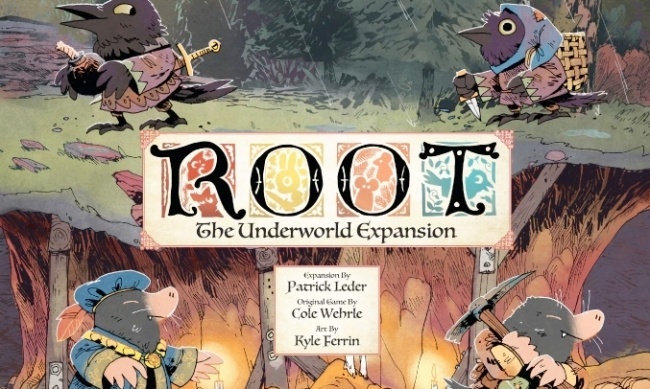 Leder Games is producing a new expansion for its surprise hit Root: A Game of Woodland Might and Right. The Underworld Expansion has broken the million dollar mark on Kickstarter and will release into the trade in Q1 next year. 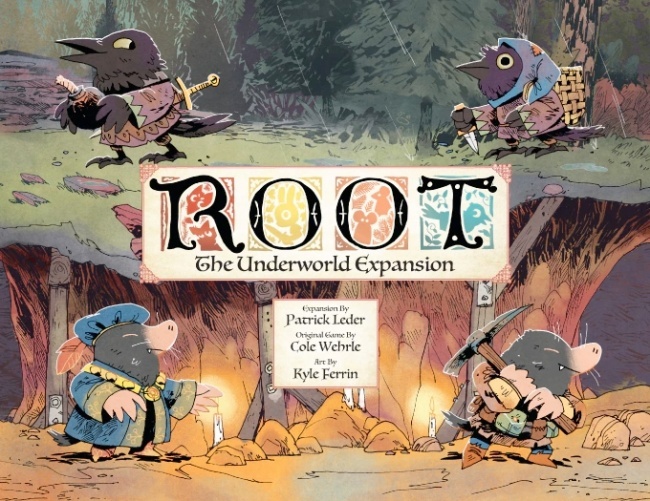 Launched last year, Root is an asymmetrical strategy game featuring anthropomorphic woodland creatures (see “Woodland Creatures Vie for Power in ‘Root’”). 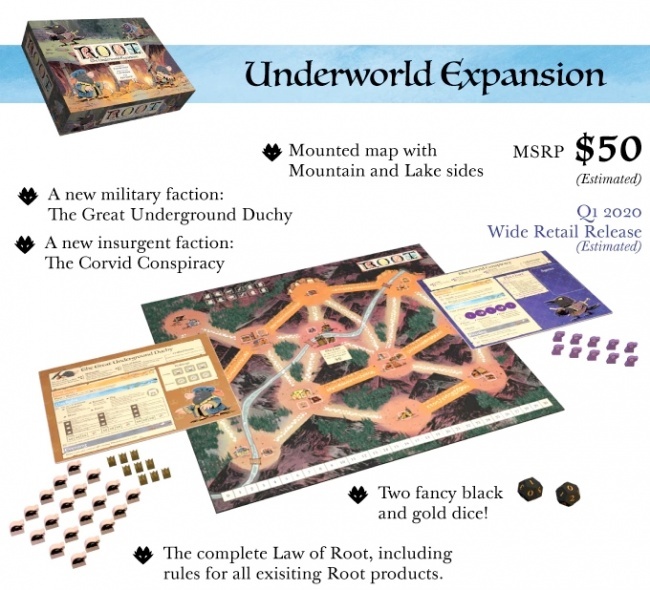 The Underworld Expansion adds two new factions to the game: The Great Underground Duchy is based on a network of mole tunnels below the woods, while the crows of the Corvid Conspiracy plot their agenda from a secret hideout while their spies infiltrate their opponents’ hands. The expansion also features a new double-sided map board for players to compete over, with the Mountain Map on one side and the Lake Map on the other. Rounding out the expansion are the tokens and player boards for the new factions, a pair of dice, and an updated rulebook covering all Root products to date. Leder Games estimates that the MSRP will be $50.00. Leder Games is funding the production of the new expansion and a reprint of the base game through a combined Kickstarter campaign that has reached $1,061,127 in pledged support from 12,947 backers as of this writing (an average of $81.96), easily surpassing the original game’s 2017 Kickstarter of $631,770. The campaign also includes three smaller items: the Exiles & Partisans Deck (MSRP $10.00) which replaces the card deck in the base game, the Vagabond Pack (MSRP $10.00) that includes custom Vagabond meeples, and the Resin Clearing Markers set (MSRP $20.00). The campaign includes a brick-and-mortar retailer backer option. Backer fulfillment is scheduled for December, and all four new items will be released into the trade early next year. Magpie Games is producing a role playing game based on Root under license from Leder Games (see “‘Root’ Transfigures to Role Playing Game”). The company plans to seek funding through a Kickstarter campaign in May and release the game in 2020.